While in Córdoba on the Flavors of Andalucia tour, you’ll have a few hours to explore the city on your own. This is your chance to dive right into the Spanish flavors of the city, indulging in the city’s best Spanish tapas and treats. Near La Mezquita is a small, unassuming little place called Bar Santos. There’s barely enough space inside to fit more than four people, which is perfect because people step inside to buy the bar’s claim to fame, a slice of tortilla, and small beer, and step right back out to sit down on the low wall surrounding the Mezquita. Bar Santos is known for serving up the biggest tortilla de patatas in all of Córdoba. This simple, poor-man’s dish is a staple in Spanish cuisine – a simple mixture of eggs, salt and potatoes – and absolutely divine with a cold beer at any time of the day. This would be the perfect place to try one of the most typical and delicious Spanish dishes out there. In addition to tortilla de patatas, there are loads of other typical Spanish foods to try, and Córdoba boasts lots of little places to do just that. 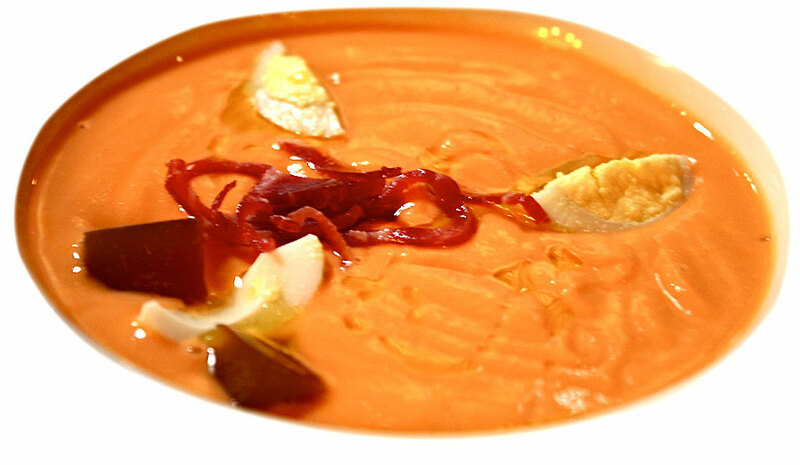 If you’re visiting in the summer when Córdoba is blistering hot and its tomatoes are the best, you must try salmorejo, a thick, cold soup made from tomatoes, olive oil, garlic and bread. Eat it like a true Córdobes by dipping chunks of bread in the bowl, forgetting the spoon completely. Some more notable Spanish tapas to try, and ones which we are happy to help you find, include flamenquín, which is pork loin wrapped around serrano ham before taking a dip in hot olive oil, caracoles, or snails, strewed in a cumin-spiced broth, and huevos rotos, which is composed of fried potatoes and onions topped with perfectly olive-oil fried eggs and salty cured ham. The variety and spectrum of Spanish tapas is ever-changing and evolving, yet they often go back to the simple ingredients of the past – pork, eggs, potatoes and other basic staples. You’ll also find Arab-influenced tapas, traditional Spanish-spiked dishes, and modern touches that seem to be popping up more and more all throughout Córdoba. Join us for an incredibly delicious glimpse into this historic city.